In real-time strategy games, the user has to play the role of a commander-in-chief or a leader who has to defend a base or a structure from enemies that belong to other civilizations. The RTS games have several enemies. Hence, the users must always keep their eyes open while playing them. Users must build a base from scratch. They must also build a troop of warriors and train them. You can build troops only when there are abundant resources available in the empire or nearby the base. To gather the resources, you’ll have to summon villagers or workers. Unlike other games, RTS games allow you to control several characters. Real Time Strategy games don’t require an internet connection. If you do connect your PC to the internet before running the game, you can enjoy multiplayer battles. Here the top RTS games for PC or Android devices. In the RTS games mentioned above, the player controls a character/several characters in a world which have been divided into different civilizations and kingdoms. The user must build an empire (base). To do so, the player has to command workers to gather natural resources like food, fish, woods, gold, stones or fruits. Warriors, fighters from neighborhood empires will always attack your troop. They’ll try to destroy or steal your resources, buildings, other structures and you’ll have to protect them. The damaged structures and buildings are repairable. These games have different difficulty levels, and they can be played online as well. StarCraft, WarCraft have been developed by Blizzard entertainment whereas AOE and Age of Mythology are software products from Microsoft Ensemble Studios. In my perspective, these 4 are the best RTS games for PC ever. The four RTS games have a similar plot, but the characters and environments are different. War Hammer: Dawn of War II: In this game, you’re immersed in a universe where an intergalactic war between different races is taking place. In DOW II, you can control anyone out of 4 races. The users can play War Hammer on their PC in two modes – single player or multiplayer mode. The game has amazing graphics and it is fun to play. Xcom: Enemy Within & Unknown: In this real-time strategy game for Windows XP, 7, 8 or 8.1 computer, you must build a troop of fighters called XCOM and command it. As a leader, you and your fighters will have to protect the earth from alien invaders. To outsmart the aliens, you’ll need to research new weapons and interact with various governments. Company of Heroes 2: This game takes you to the historic battles of World War II and the Battle of Berlin. It has been built with the essence game engine that delivers high-quality graphics. Company of Heroes 2 uses true sight technology to make sure that movements of all characters look realistic. In COH 2, you play the role of a commander. No matter in what conditions you’re in, you should lead your troop to victory. This RTS for PC requires 20 GB HDD space, 2GB RAM, and a graphics card with a minimum 256 MB video memory. 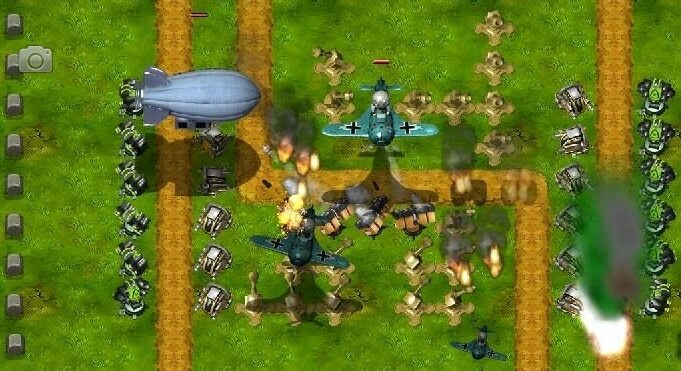 LC WW2 is a tower defense game that has fighter planes, tanks, and weapons of ancient periods. Little Commander has cute graphics, terrains and it takes you through various several historical battles (including WWII). SS is one of the top-rated multiplayer RTS game for Android. In Samurai Siege, you’ll have to build your base and protect it from the attackers. As a strategy, you are allowed to form an alliance with the leaders of other bases. The Art of War is an MMO style Real Time Strategy game that features several interesting characters and plenty of troops fighting against each other. AOW has 100s of single and multiplayer campaigns. It enables you to control artillery units, tanks, aircraft, etc. Lords Mobile is one of the most downloaded RTS game for Android devices. The game lets you build your state and troops. Once your troop is ready, you can engage them in battle. Apart from human characters, your characters will fight against monsters. You can play LM in multiplayer mode. There are plenty of RTS games available on the web but the games we’ve mentioned above are the best ones.